Basic sewing necessities, all kitted together in a mason jar! 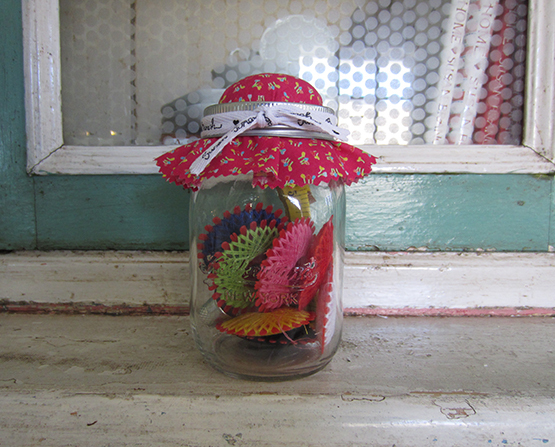 Next time your kid tells you they lost a button-- just hand them the mason jar! This charming jar has a pincushion lid plus it comes with pins, needles, thread, buttons, scissors, a seam ripper, thimble and tape measure.